Tasha joined the Eight Cousins family in 2007, and in 2013 started a family of her own, becoming a mother to a now five-year-old daughter, Lola. The ever-growing stack of books on Tasha’s nightstand now shares space with Lola's collection, a mix of picture books, early readers, and favorite board books that Lola has memorized and now "reads" to her stuffed animals. At Eight Cousins Tasha maintains the office and paper supplies, ordering items such as the gift wrap and the beloved Mrs. Grossman's stickers that are used to decorate packages. 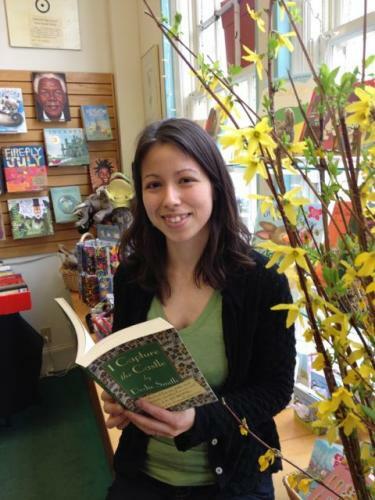 She gravitates towards reading science, history, and mysteries, but also reads coming-of-age stories, like The Perks of Being a Wallflower, and books with characters who grow from modest circumstances, such as A Tree Grows in Brooklyn.